INDUSTRY.co.id - Jakarta - The exchange rate of rupiah traded interbank in Jakarta on Wednesday morning (30/5/2018) moved down by 37 points to Rp14,025 compared to the previous position of Rp13.988 per US dollar. The rupiah against the US dollar back through the psychological level of Rp14.000 after the beginning of last week had appreciated to below that level. "External sentiment is still strong," said Bank Mandiri Money Market analyst Reny Eka Putri when contacted by Antara in Jakarta on Wednesday. Reny said that expectations for better employment data and non-farm payroll (NFP) data in the US are still relatively high so that the US dollar is strengthening again. In addition, continued Reny, market demand for the dollar is also still high. "Expectations of better US jobs data, better NFP, plus 'demand' USD as safe haven currency, still high," said Reny. Indonesia's stock market rallied on Monday (28/5) due to external and domestic sentiment. Bank Indonesia said it would hold an additional BI Governor Board Meeting on May 30, 2018, if new developments require a faster response to current market instability. The additional RDG will address current economic and monetary conditions and future prospects. BI said it is continuing to increase monitoring and mitigation of potential capital outflows that could depreciate the rupiah, especially ahead of FOMC June 14, 2018. BI will determine policies to stabilize financial markets, including controlling the rupiah and anticipatory measures throughout 2018, in the RDG of 30 May 2018. 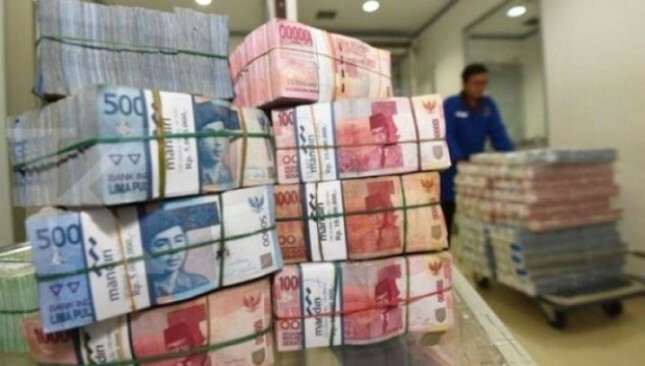 The BI statement appreciated the rupiah value significantly to around Rp14,000 per US dollar on Monday (28/5) , and gained to Rp13.972 per US dollar.